With the Fringe fast approaching, and mad March just around the corner, it's time to prepare yourself for pop-up bar season. This weekend, the City Beach Volleyball Courts will be transformed into a new pop up venue for the start of summer, but it will open for just four nights. Opening to the public this Thursday, November 20 from 5pm, the sandy courts will be transformed into the Frome Street Surf Life Saving Club. Brought to you by the creative genius behind signature summer hangouts Barrio and Lola's Pergola, Ross Ganf is pulling out all the stops to make FSSLSC a feast for the senses. Supporting SA great wines from Alpha Box & Dice and Aussie fish n' chip legends from Golden Gullet, punters will be able to enjoy an array of delightful drinks, delicious dining, dirty dancing and a reclined, movie viewing experience. Every night from Thursday - Sunday just after 9pm, this sandy and dandy venue will transform into a reel of great Australian short film, with films from finalists in this year’s Short Film Festival being shown. Marking a new era for the film festival, the outdoor experience will definitely create some cool new viewing vibes. “We are creating more than just an outdoor cinema on the beach,” said Ross. "The design uses the actual sand as its chief medium. We literally make the seating from the sand so you can watch some of Australia’s hottest young film talent." ...And after 11pm? DJs will be turning it up until the early hours of the morning. If that's not enough for you, Ross tells us "there are plenty of surprises in store and people will just have to come along to find out more." We literally cannot wait. With a relatively small venue space, Ross says, “Numbers will be limited so we’re advising people to arrive early so they’re able to enjoy the whole night." There is limited free entry before 7pm, and guaranteed entry if you purchase a ticket for the Shorts screening ($20 each). Where: Corner of Frome Street and Pirie Street. Times: Club Opens at 5pm Thursday & Friday. Open from 3pm Saturday & Sunday. 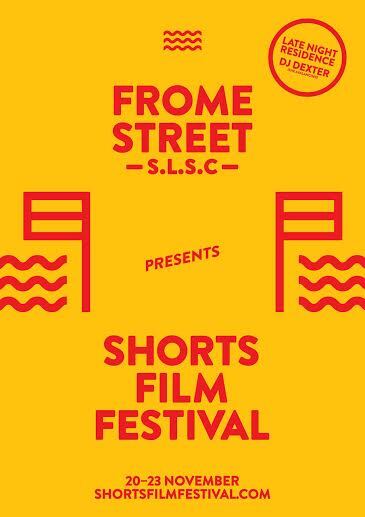 Short film screenings from 9.10pm-11pm.